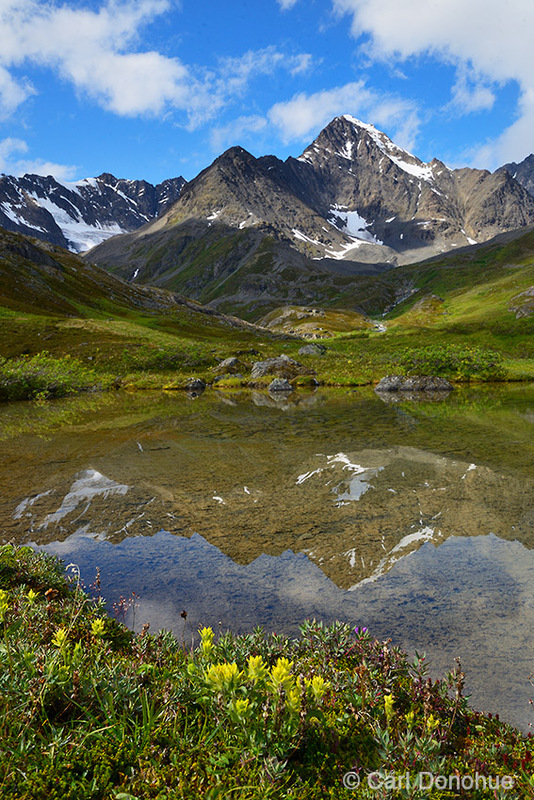 Photos and blog posts from the Chugach Mountains in Wrangell – St. Elias National Park and Preserve, Alaska. 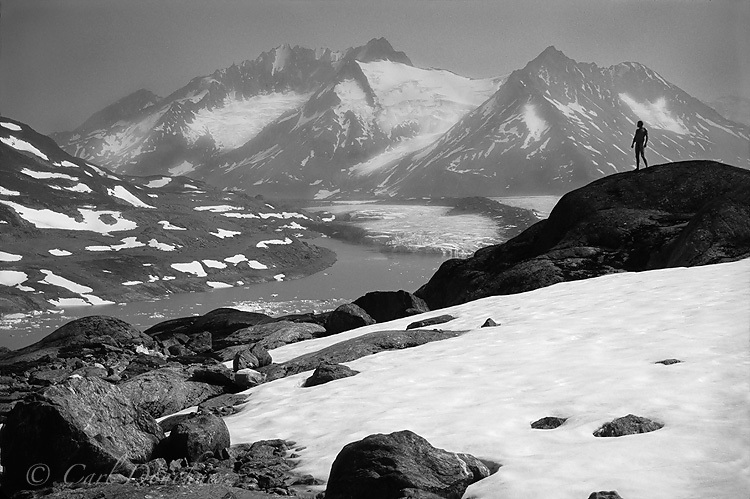 The Chugach mountains of the upper Klu River, in Wrangell – St. Elias National Park and Preserve. This photo is from an area not too many people get to visit. The upper Klu River valley is absolutely beautiful, but pretty far from most points of access. From Tebay Lakes or Bremner Mines it’s a few days hike, at least, for most people. It’s a fun area to visit though. I always wish I had a little more time when I venture through. The Klu River is a gorgeous stream, and one of these days I’m going to packraft it. Some of my friends have done so, but I’ve never run it. The lower section is a burly canyon which looks, from the air, pretty much unrunable. But the upper and mid sections are a treat indeed. The eastern Chugach Mountains run in to the park across the Copper River, all the way as far as the Tana River. The wildflowers in the foreground are Yellow Paintbrush (Unalaska Paintbrush), Castilleja unalaschcensis. This entry was posted in Chugach Mountains and tagged Castilleja unalaschcensis, Klu River on December 3, 2015 by Carl D.
Hiker silhouetted against the Chugach mountains, Wrangell – St. Elias Park. This entry was posted in Black & White, Chugach Mountains, Recreation on May 25, 2012 by Carl D.